Falls from height were the most common cause of fatal injuries. Risk Assessments are required by law, method statements are requested by main contractors, local authorities and just about every possible client today. 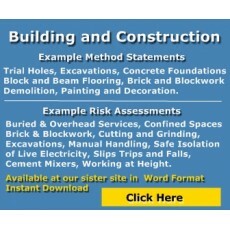 The death rates on our contruction sites is still high, most of these have been preventable. with corporate man slaughter a reality why are people still dying on building sites?. Every person employed is responsible for his/her safety, supervisors are there to ensure that safe work is carried out, managements role is the supervision and management of health and safety, whilst company directors are responible for health and safety for the entire company and all staff. There are certainly breakdowns where responsibility is often "passed down" to people who should not take on the role without full training along with experience, therefore the correct people should carry out the risk assessments and method statements and convey the risks and safe work practices to the workers concerned. 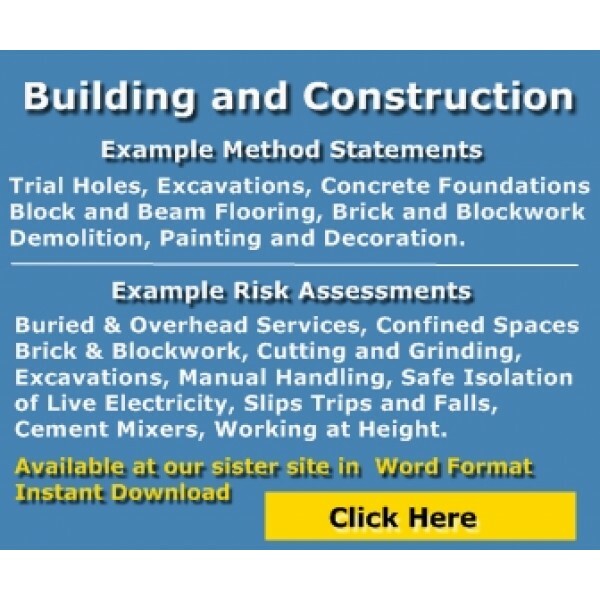 Our Builders Mega Pack contains the most common risk assessments as well as a few method statements, all pre-completed, simply check your sites specific risks are included, and print! 0 Comments To "Building & Construction Risk Assessments"